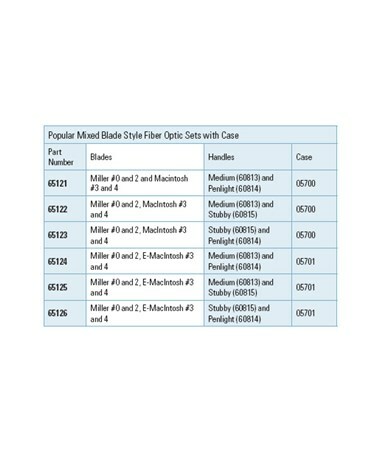 The Fiber Optic MacIntosh and Miller mixed blade set features a powerful halogen HPX illumination. Light output is nearly three times more than the standard (lamp) set. 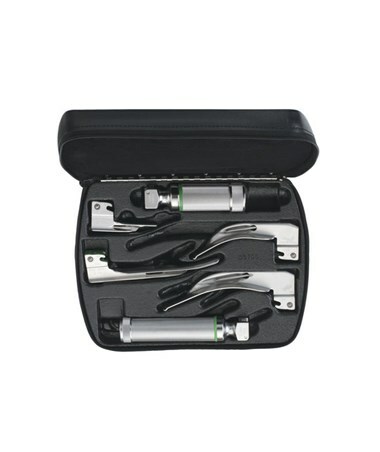 The set includes lightweight handles and lightweight blades for maximum maneuverability. Macintosh blades are the most popular curved style laryngoscope blade. Miller blades are the most innovative straight laryngoscope blade. Another feature designed to help improve the cleaning of a Welch Allyn blade is its surface finish. Typical laryngoscope finishes have a surface roughness of 32μ in. The surface finish used on all Welch Allyn blades has a roughness of just 8μ in. 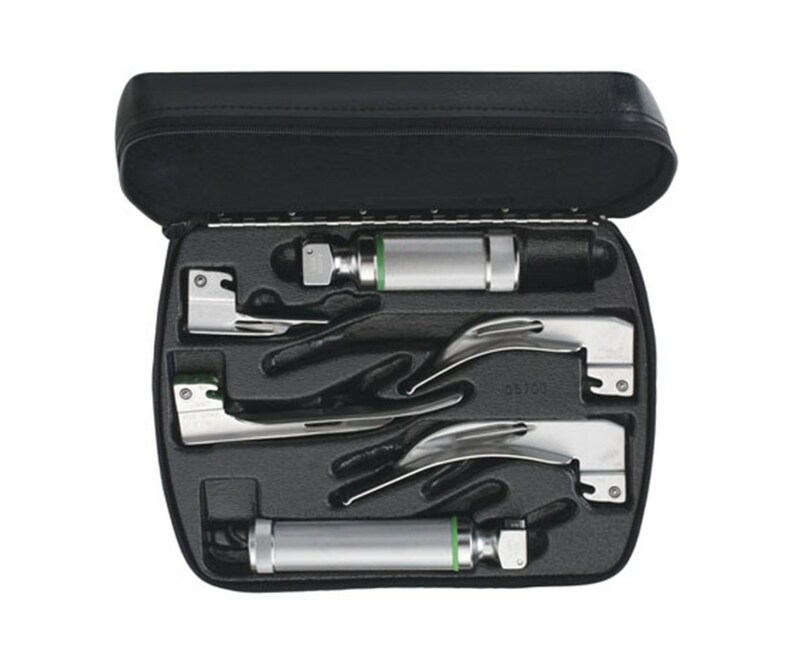 This creates a surface texture that is approximately four times smoother than competitive blades, resulting in an easier-to-clean, stain-resistant laryngoscope blade. What’s more, the surface finish is not a plating, and therefore does not alter the 304-series stainless steel construction of the blade itself.